Alloy Wheels *, Backup Camera *, Bluetooth*, Navigation System*, Premium Wheels*, Power Package*, Heated Package*, CVT with Xtronic, Auto-dimming Rear-View mirror, Blind spot sensor: Blind Spot Warning (BSW) warning, Front dual zone A/C, Garage door transmitter: HomeLink, Intelligent Cruise Control, Power Panoramic Moonroof. Hambelton LaGreca Super Center WWW.hamlag.com. 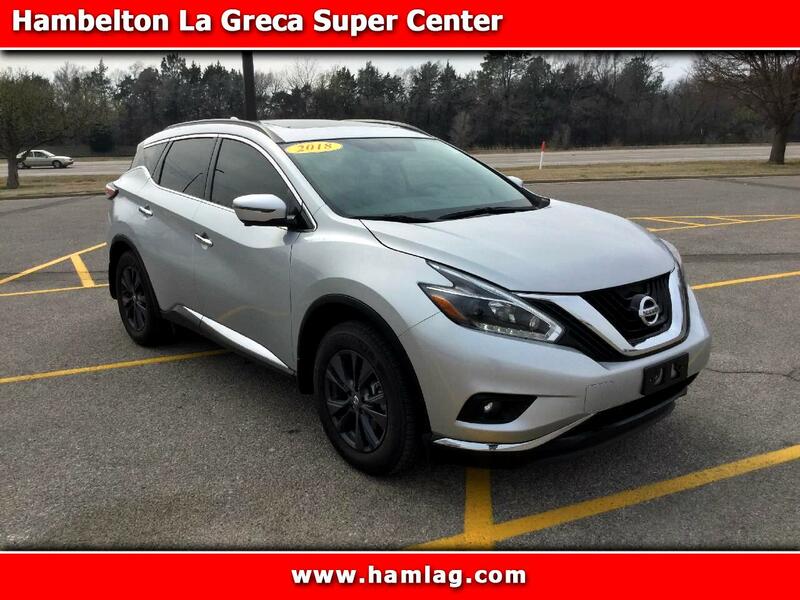 Brilliant Silver Metallic 2018 Nissan Murano SV 4D Sport Utility 3.5L V6 DOHC 24V FWD CVT with Xtronic Odometer is 13096 miles below market average! Excellent Financing Available!